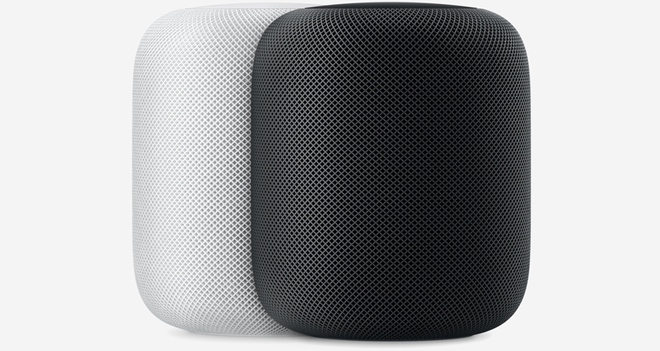 After a little over two years on the market, Apple has cut the price of its HomePod wireless home speaker. The device initially launched with an MSRP of $349, but is now available for an MSRP of $299 through the Apple Store or a current sale price of $279 via Best Buy. The HomePod measures just under 7-inches tall and uses a custom array of seven horn-loaded tweeters, each with its own custom amplifier, along with a high-excursion woofer with custom amplifier. Under the hood, the speaker is powered by Apple's A8 chip providing bass management through real-time software modeling and other advanced audio functions, including a new spatial awareness feature. With spatial awareness, the HomePod is able to sense its position in a room -- whether it’s in a corner, on a table or in a bookshelf -- and then optimize its audio output for that location. To help achieve this, the device is also able to detect and separate center vocals, direct energy (instrumentation), and ambient audio (like backing vocals and reverb) within a music track, and then beam each piece directionally and blend them together specifically to match a room's unique dynamics. In addition, the speaker also includes a six-microphone array with advanced echo cancellation for Siri voice control and home assistant functions, allowing users to ask questions and access podcasts, news, weather, traffic, sports, reminders, timers, messages, and more. Finally, the HomePod has been designed for use with an Apple Music subscription for access to over 40 million songs. With that said, it should be noted that speaker is only compatible with other Apple products, and requires an iPhone 5s or later, iPad Pro, iPad (5th generation) or later, iPad Air or later, iPad mini 2 or later, or iPod touch (6th generation) or later running iOS 11.2.5 or later. 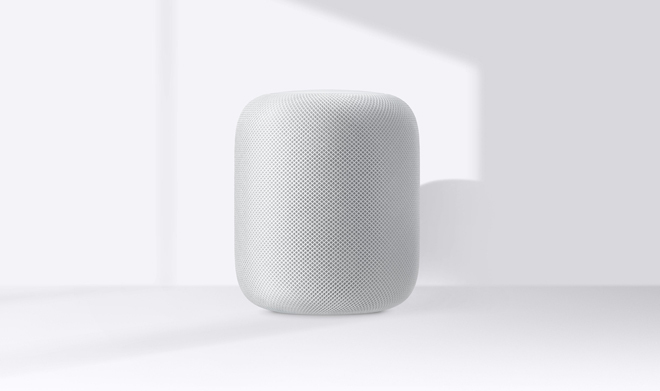 The Apple HomePod is now available in White or Space Gray models.